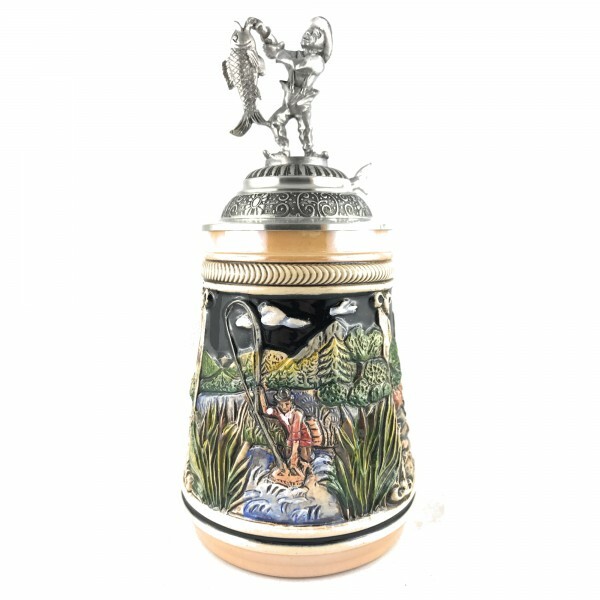 Product information "Fisherman stein, with pewter fishermen in yellow"
IA very nicely done fishing stein, with 3 different fisching scenes on it. It also has a great pewter fishermen on of the lid and an other one, on the back of the handle (made out of pewter). The handle is also made up as a fish and is hand painted as well. Related links to "Fisherman stein, with pewter fishermen in yellow"
Customer evaluation for "Fisherman stein, with pewter fishermen in yellow"